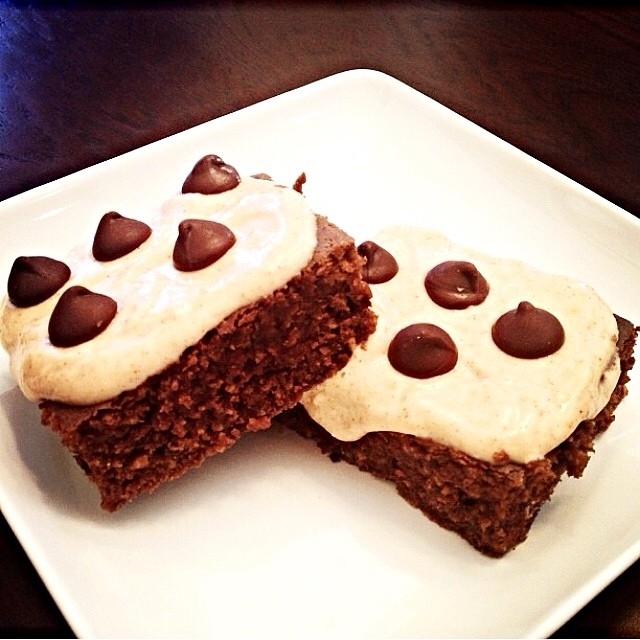 Almond Butter Black Bean Brownies with a Creamy Almond Frosting. Truvia), 1/8 cup olive oil. For frosting: 4 tbsp nonfat greek yogurt, 2 tbsp almond butter, 1 tbsp honey powder (or honey).